Welcome to the Pavilions of Eau Claire! 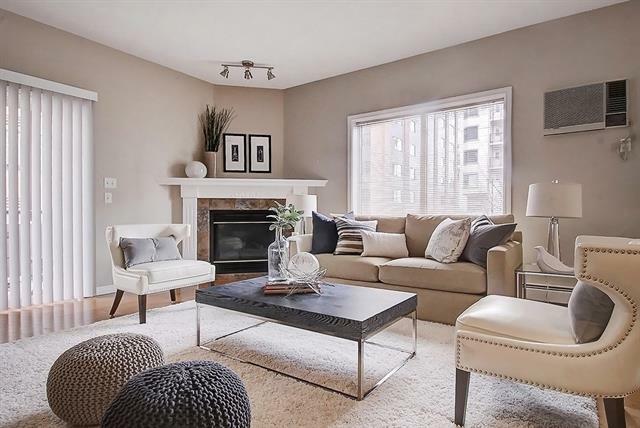 This coveted west corner unit receives lots of natural sunlight. 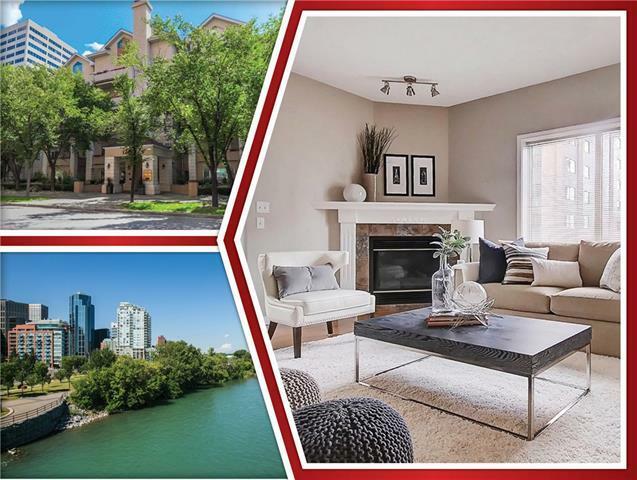 The condo is situated in a well-maintained building steps away from the Peace Bridge, Bow River Pathway, and Princes Island Park! Spacious hallway entry is ideal for greeting guests. 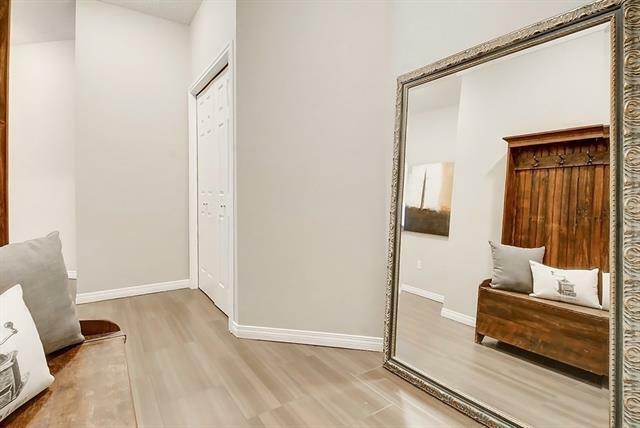 Inside you will find upgrades like beautiful tile, engineered hardwood flooring, reverse osmosis water filtration system, corner fireplace, and AC. 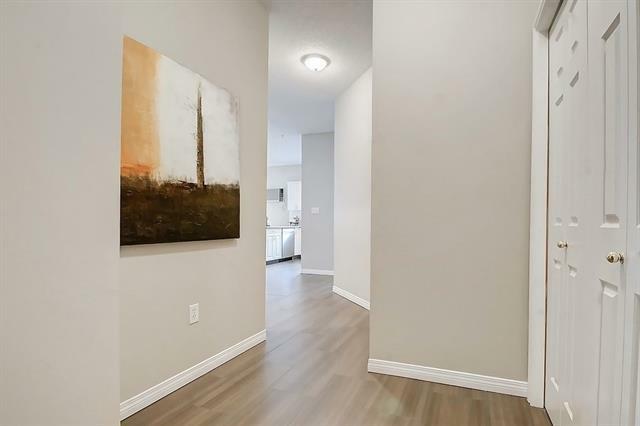 The open concept layout is ideal for entertaining and the living room provides access to your private balcony. The kitchen features a thoughtful layout, sleek white appliances and cabinets, beautiful tile back-splash, and an ultra-quiet Blomberg dishwasher. Separate dining area for quiet meals at home. The master has large bay windows, a 3 pc en-suite is perfect for those wanting a roommate. A second bedroom could be used for guests or a home office. The large south facing balcony has a gas hookup for a BBQ and a secure storage area. Titled parking included with unit.